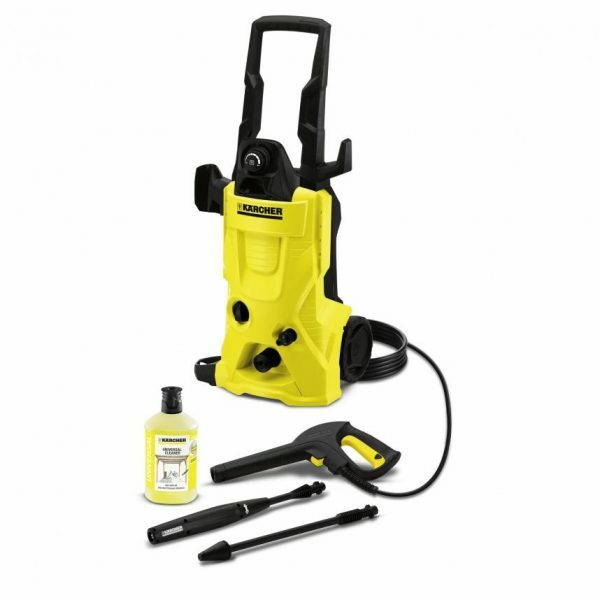 The Karcher K4 Full Control is the very latest in domestic power washers. With built in pressure adjuster it is very easy to apply the right pressure for whatever application you need. The Karcher K4 Full Control pressure washer is a great addition to your tools. This product will help you achieve amazing results. 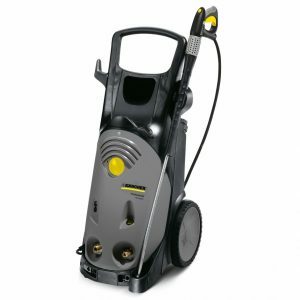 Whether you are looking to clean your patio, car, wheelie bin, garden furniture, fencing and many other applications, the new full control system can help you find the right pressure setting, ensuring an optimal clean. Simply choose the correct spray lance, based on the surface you wish to clean, using the surface symbols on the spray lances as guides. Once you have chosen the lance you wish to use, simple twist the vario lance to find the correct pressure setting, guided by the LED display on the trigger gun. 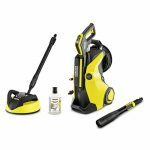 This new system will help you achieve the best possible clean for your home. 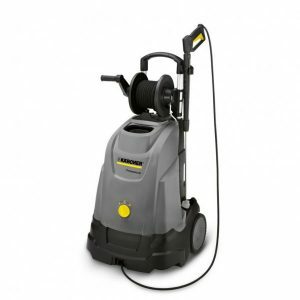 This K4 model is perfect for tackling medium sized patios and cars and yet powerful enough to tackle tough dirt. 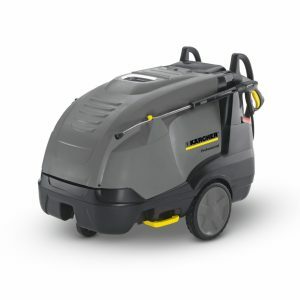 With it’s long-life water-cooled motor, this model comes with a 3 year warranty. 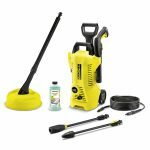 This pressure washer comes with a dirt blaster spray lance and a vario power spray lance.